As a stay home mum, I have to prepare 3 meals a day almost everyday. I love cooking, but sometimes you get sooo sick of it, but what to do? the kids still have to eat. Today was one of those days. I almost wanted to go to the nearby coffeshop to buy food until inspiration hit me at thye last minute. Rice cooker rice! 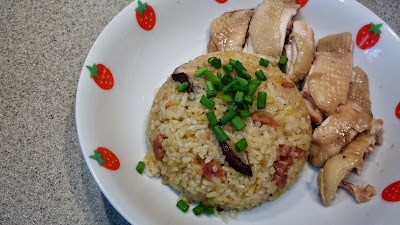 It was so last minute, my chicken was barely defrosted when I put it into the rice cooker. But the outcome was still just as delicious. One pot meals, a stay at home mom's life saviour! Cut the chicken into 2 pcs and marinate with seasoning. 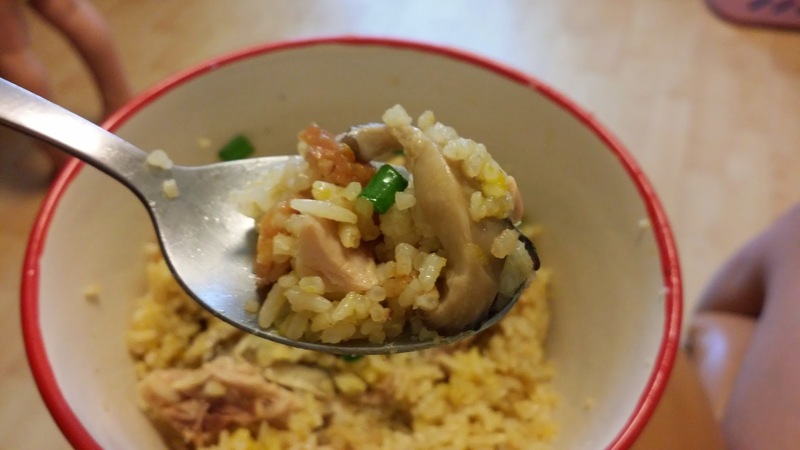 Add everything else into the rice and mix well. Pop into rice cooker and cook. 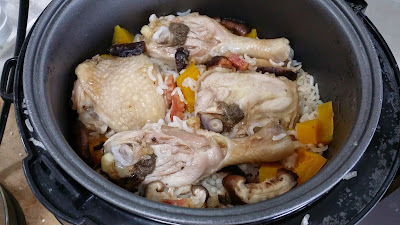 When rice cooker indicates that it's cooked, do not open lid. Let the food steam in residual heat for another 15mins before opening.